Aix is no fun when it's really hot. The buildings block the breeze and hold the heat in - it was always 5 degrees hotter in Aix than it was at our place. You should have asked for some ice in a glass and popped them one by one into your rosé to keep it cool. It wasn't the temp of the rosé that was the problem (Lord knows I ice that shiz when needed), it was that under that canopy it was too hot and stuffy to drink wine. Maybe an ice cold beer would have been ok, but drinking wine made me feel like I would shrivel up like a raisin and die. You always have the greatest adventures! Glad you scored a cute purse! Still thinking I need ti find a perfect rose. Wasn't today hot?! I went soldes shopping in Salon-de-Provence and my husband spent the whole time at the wine store. I got a purse too :) and he got ...wine. lol! I want one of those cocktails! I'm dying too, living sous les toits is fine for keeping winter heating bills down, but torture this time of year. Shopping in such a heat is definitely not very funny! But glad you found that handbag! Please, I would love to see it! And it is very cute that your boys prefer to drink such manly cocktails! The Betty Boop cocktail sounds refreshing and delicious too! Too hot to shop and drink wine - that's hot! At least you came away with one bargain. I'm such a fan of the sales. Glad you got a great hand bag out of it! It's too bad that it was so hot though :(. We've had a pretty mild summer here so far. tehehe love that the guys were drinking Betty BOops- sounds amazing in this heat though haha! It really is too hot to drink! I hear you!!! I have been pounding water, nothing else, just water. And OMG...BETTY BOOPS!!!!! That, is amazing. Picturing your face as you walked into a manly pub seeing your husband drinking something called a Betty Boop! I'm sure it was priceless. I'm laughing, so I can imagine how funny it was seeing it live! And I am basically hiding out with the shutters closed in the dark, waiting for October to roll around so that I can breathe again. 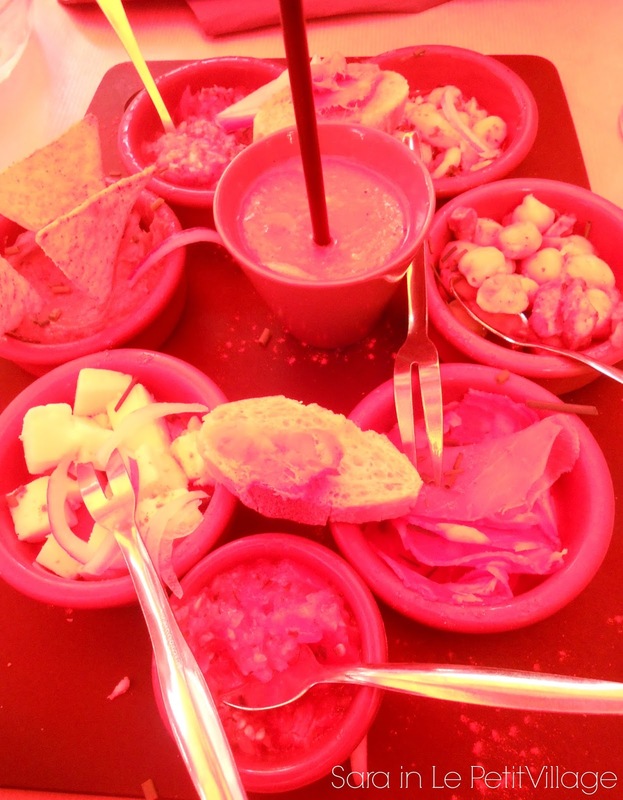 oh gosh, les soldes were seriously one of the best parts of my summer in France. I bought wayyyyy too much stuff, but at those prices how can you resist??!? 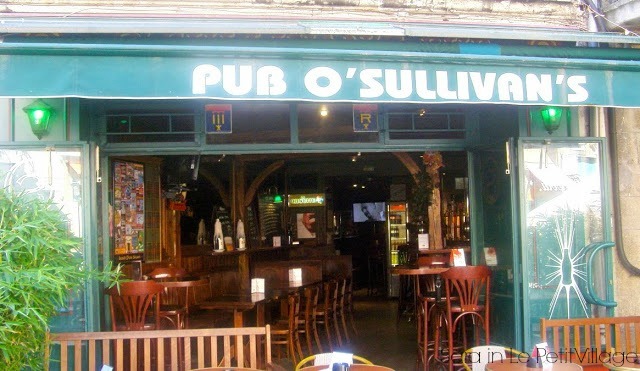 sara, only you could find an irish pub in the midst of provence! Hard to believe it would ever be too hot for you to enjoy checking out les soldes. Incroyable. I hope it cools off just a little soon so you can enjoy shopping and rosé again. further proof we could be biffs....i happen to OWN a Detroit Lions jersey (even though the only time I've ever been to Detroit was 27 minutes on a layover). And yes, it's football BUT I feel that with a scarf, I might just be able to play it off as a rugby jersey. Plus, I feel I could really get down with a Betty Boop. You wasted a glass of wine?! That doesn't sound like that Sara I'm getting to know. ;o) Maybe the pub would have been a bit cooler? Betty Boops, besides the unfortunate name, don't actually sound half bad! JON DOES THE EXACT SAME THING. I swear to God, when he wants to leave there is nothing that will keep him in the house. When I want to leave, there are SO MANY THINGS to do first! You know it's too hot when you can't even drink your wine!